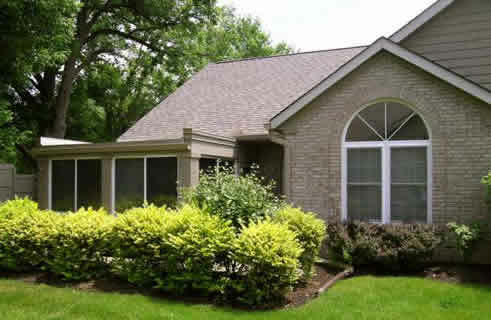 The Crossings at Windemere is located in Westerville, a suburb of Columbus, Ohio. All homes have brick and wood exteriors. Built in 1995, you will find the 1-story Villa floor plan and the 2-story Chateau floor plan. The Villa has 2 bedrooms, 2 full bathrooms. The Chateau has 2 bedrooms and a den that can be used as a third bedroom, 1 full bathroom on each floor, 1 half bath on the first floor. Both floor plans offer a 1 or 2 car garage, first floor laundry and garden style patio with privacy fence. Two additional floor plans were added at this community. The 1-story Abbey floor plan with 2 bedrooms, 2 full bathrooms and 2 walk-in closets. The 1-story Canterbury, the largest floor plan, offers 2 bedrooms plus a den/possible 3rd bedroom and 2 full bathrooms. Both floor plans were introduced with cathedral ceilings. Sorry, additional images are not available.